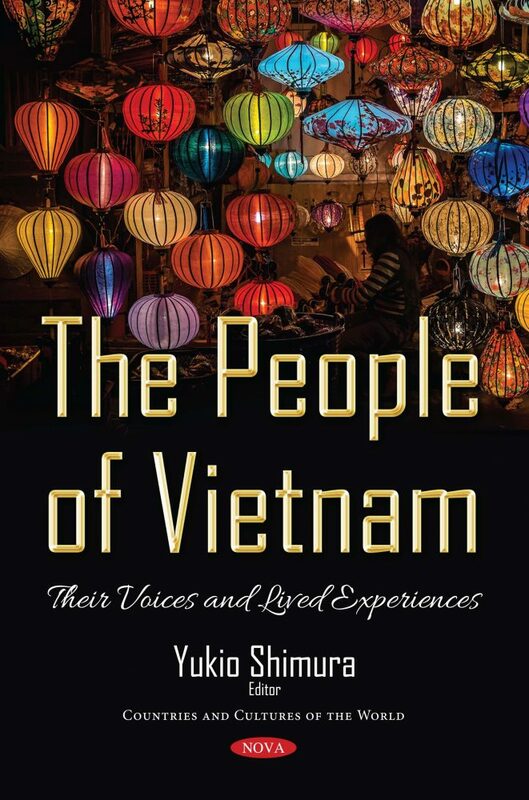 In The People of Vietnam: Their Voices and Lived Experiences, a study is presented on Vietnamese migration to the Czech Republic, its modi operandi, and the exploitative strategies established by various agents involved in the practice. The authors discuss how Vietnamese migrants are manipulated, abused, and decieved by unofficial agencies and organizations engaged in the smuggling of people, as well by as licensed labor agencies for profit. Next, a study is presented on China-Vietnam marriages, in the context that these women have “the capacity to imagine and desire, to choose and to act (or to choose not to act), caring a lot about self development and expression.” They have tactically manipulated complicated realities in the framework of the China-Vietnam border to better their economic circumstances, and reshape their personal, familial, and social relationships. The authors continue with a study examining Vietnamese students’ proficiency level, their perceptions of an English curriculum, and course books suitable for them through two surveys. The following chapter reviews anthropometric characteristics of Vietnamese adolescents aged 11-14.5 in 2016, suggesting that solutions should be implemented to improve stature to meet the requirements of industrialization and modernization. The book closes with a chapter introducing a support system for Vietnamese ontology construction from text documents. Pattern-based learning is used as a major method for extracting concepts and concept relations from text input data, and a document converter is established to make Vietnamese documents compatible with the GATE system.